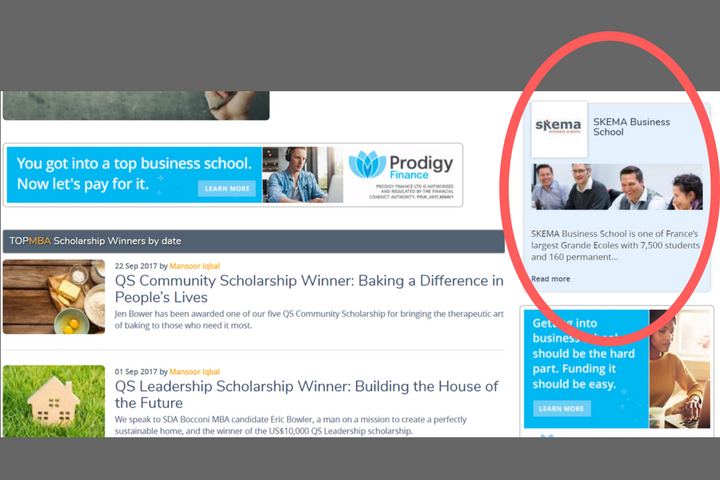 Optimize our powerful user-friendly platforms by running your ads on TopMBA/QSLEAP, sending organic targeted traffic to your school’s website. 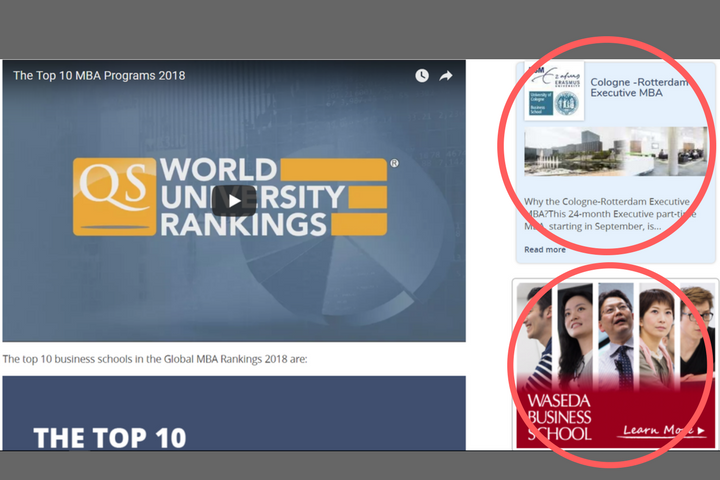 TopMBA/QSLEAP boasts top Google search results rankings across 70,000 industry keywords, ultimately improving your institution’s visibility. 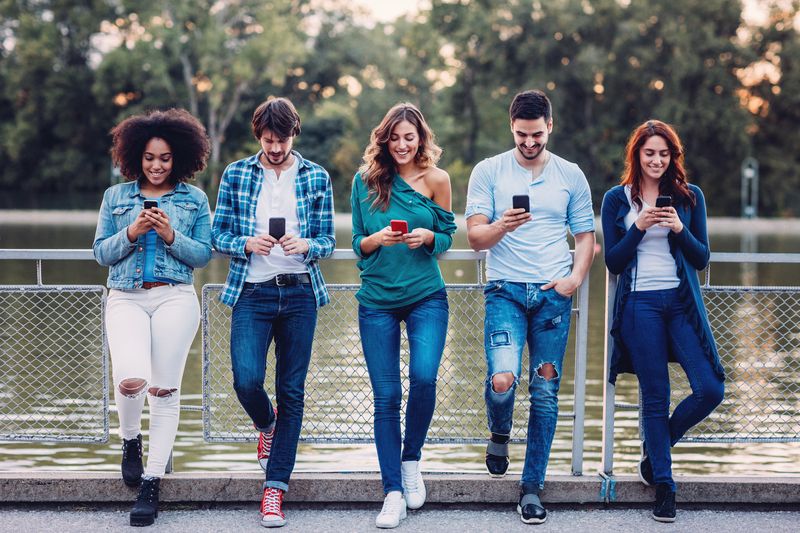 Maximize the success of your digital campaigns by engaging prospects based on location, program interest, study level, and destination choice. 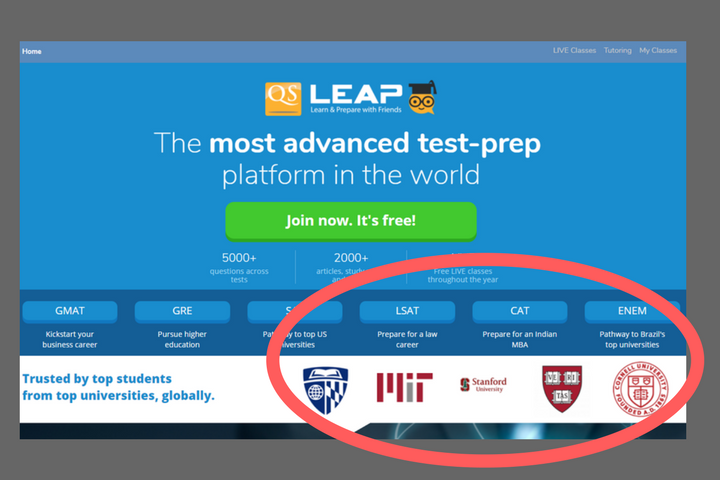 Your ads will be placed on QSLEAP to reach students in the test prep stage and/or on TopMBA reaching students in the program research stage. 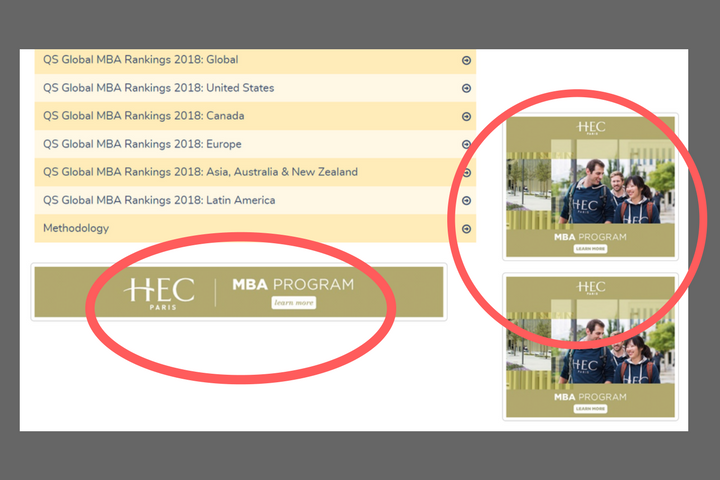 TopMBA/QSLEAP’s fully responsive websites make sure your display ads look great on all devices, including smartphones, tablets and desktop devices. We can tailor target your display ads to reach your desired audience based on program interest, study destination choice or even estimated start date. 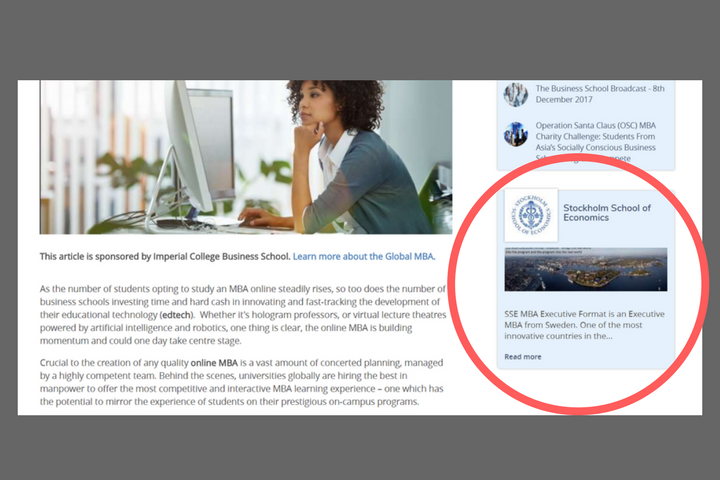 Run a roadblock display campaign on one of our high traffic pages to ensure your target audience only sees your content, boosting engagement with your institution. Our audience is prospects actively preparing for tests and researching programs with the intent to enroll. Engage them the minute they start their search. 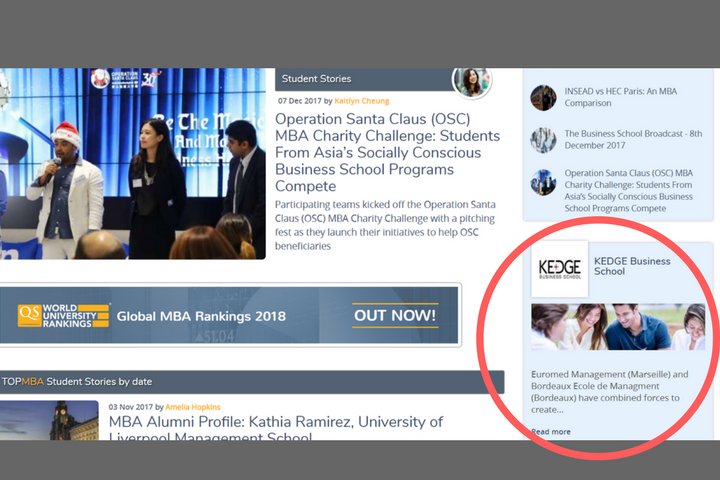 Onboarding and guidelines –0ne of our TopMBA/QSLEAP experts will host a demonstration, walking your team through all necessary specifications, guidelines, and deadlines for setting up your Display Ad Campaign. 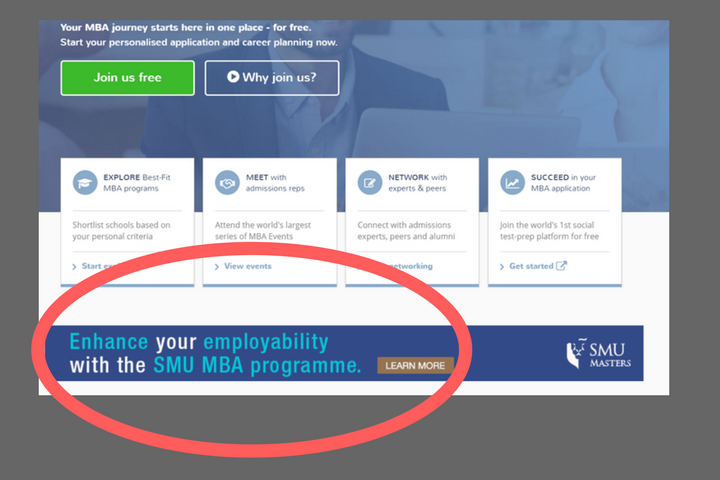 Launch – we’ll be sure to notify you as soon as your institution’s Display Ad Campaign is live on our site, with all the necessary records of delivery. Recommendation – upon review, a member of our team can discuss potential next steps, for example, repeat booking, refinement of targeting etc. in liaison with TopMBA/ QSLEAP’s digital delivery team. 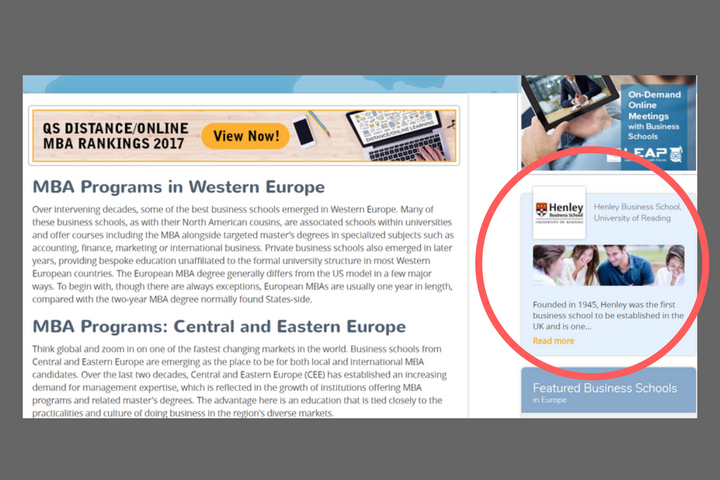 These are authentic articles written by your institution, blended into our blog.